Ian Street trained at Sparsholt College for 3 years, gaining a National Certificate and a National Diploma in Horticulture, covering all aspects of plant nomenclature and botany, garden design, paving, walling and fencing installations and plant and garden maintenance. I.J. Street installations have won numerous awards and have also become Approved Installers for paving, artificial grass and composite decking companies. 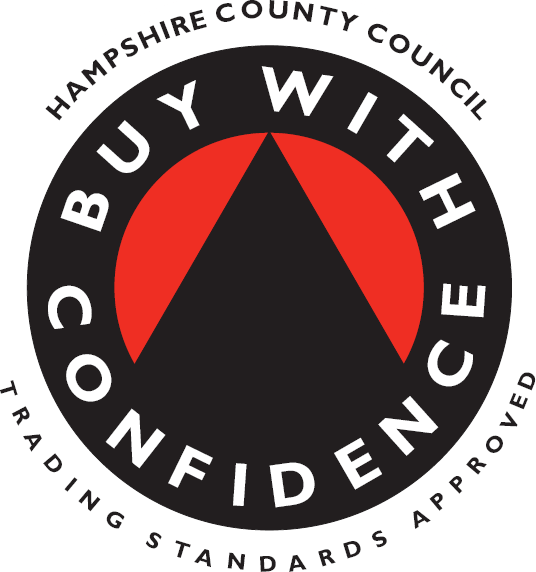 We have also been assessed by Hampshire Trading Standards and accepted on to their Approved Contractor scheme and have been a member of Checkatrade for 10 years. We have completed some of the more adventurous and challenging contracts, which has opened up many more opportunities to us, gaining valuable experience through them. We have terraced a hill side, dismantled a recessed swimming pool to create a garden, created a ‘temporary’ garden over a weekend, only to be removed a month later, made ponds large enough to swim in and created a garden for a local disabled boy, which we took on as a charity project, built an outdoor kitchen and won a regional award for the best patio transformation. As with many families, there can be circumstances that restrict what can be done in a garden, or considerations that need to be taken into account when planning and building a garden. With years of experience and the insights we have gained, we are able to create gardens for many different people, from those with children to the elderly, people with varying disabilities, to those who want something modern to entertain in, gardens to grow fruit and vegetables in, to formal gardens. Whatever you want from your garden, IJ Street has the ability and experience to create it for you, from concept to completion.